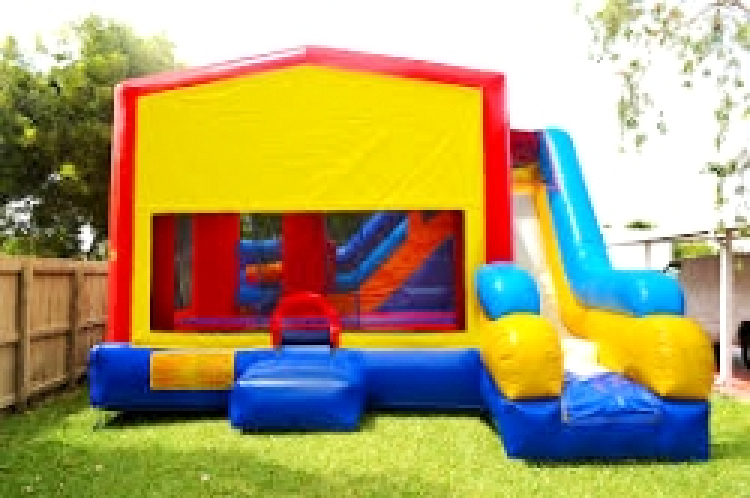 This 7 in 1 Combo Bounce House is perfect for your special event! It features a large bounce area with an obstacle of pop ups. You can climb up the wall and take a ride down the slide or shoot hoops in the basketball hoop. It’s great for any event and your little ones will love it!